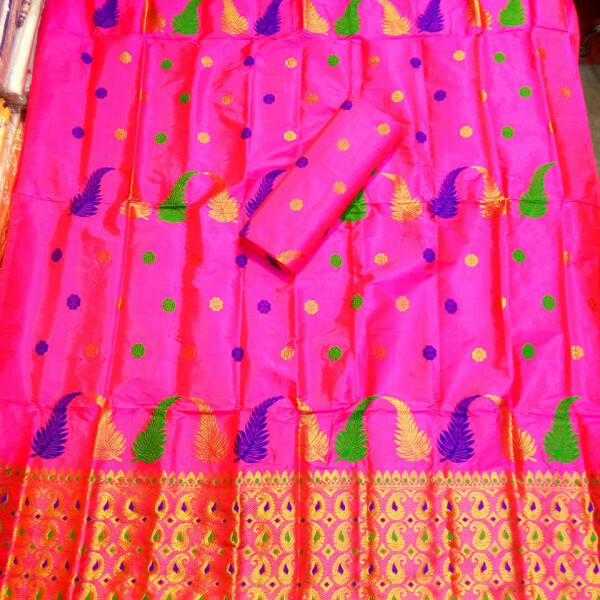 Home » Products » Woman » Mekhela sador » Pure Paat » Pure Assam Silk in Pink colour with Guna and xuta small buta. 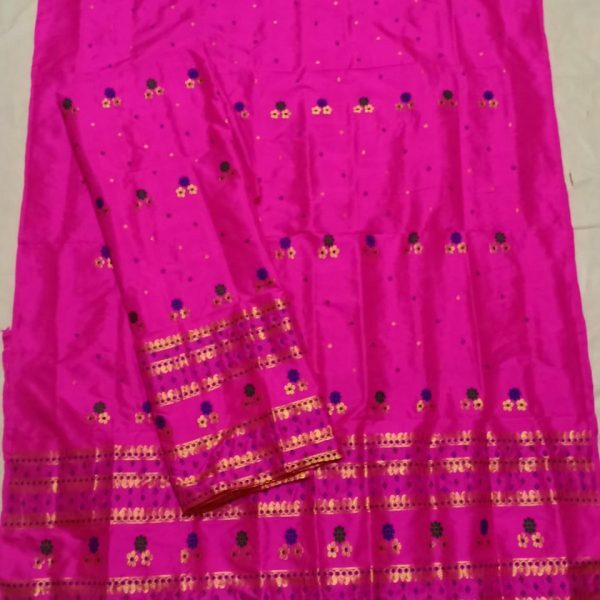 Pink colour Pure Paat material is available with Guna and xuta small buta work on whole body. 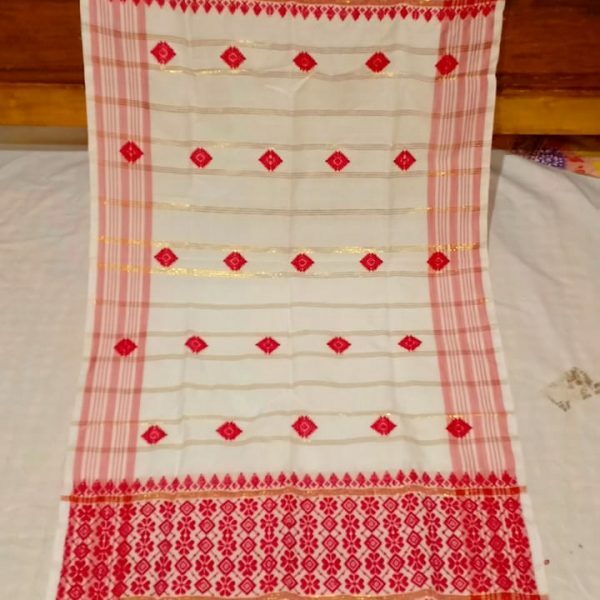 Both Mekhela and Sador have same design and work with Guna Side border. 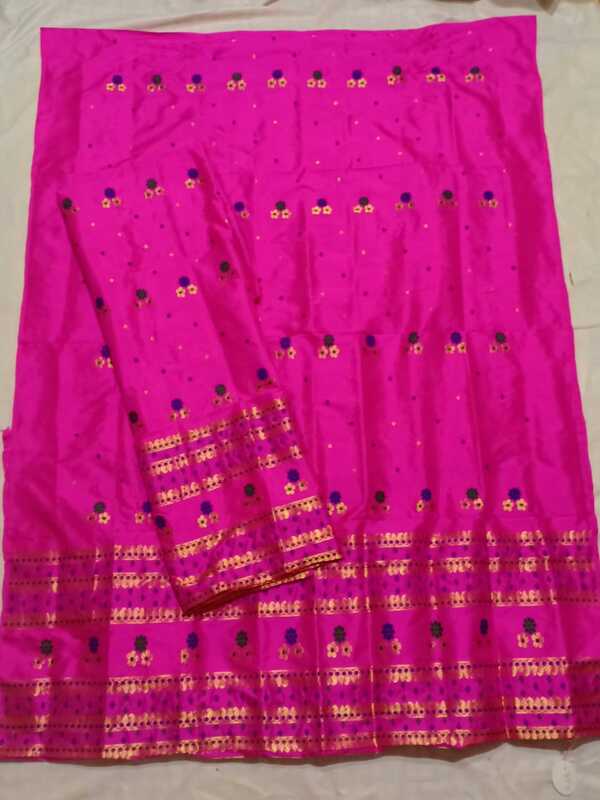 Pink colour Pure Paat material is available with Guna and xuta small buta work on whole body. 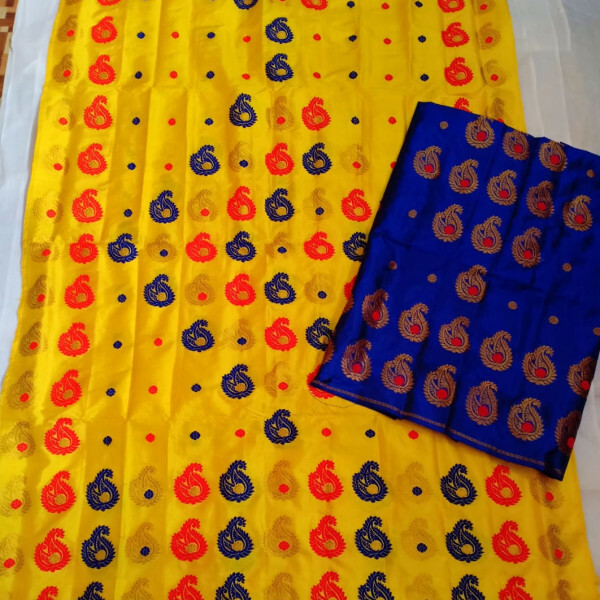 Both Mekhela and Sador have same design and work with Guna Side border Work. 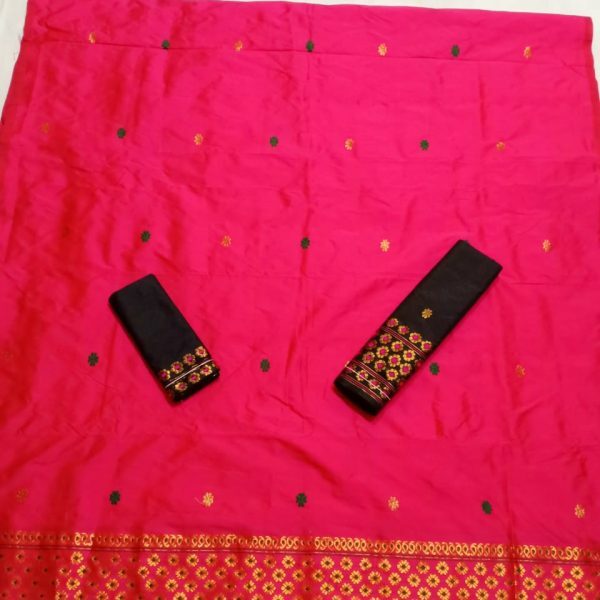 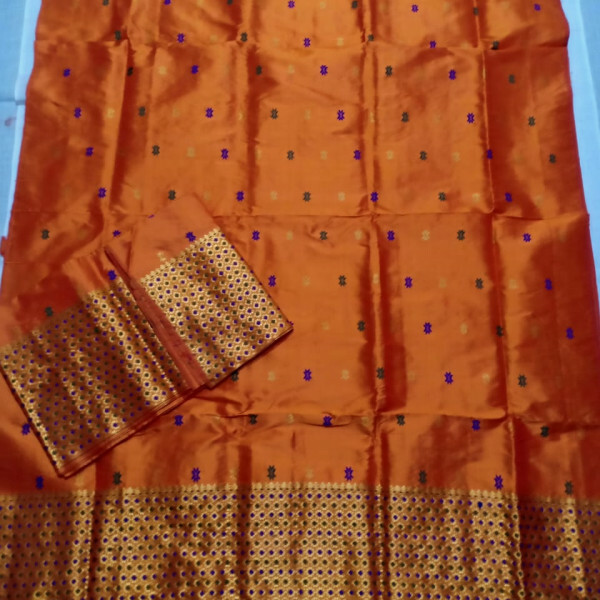 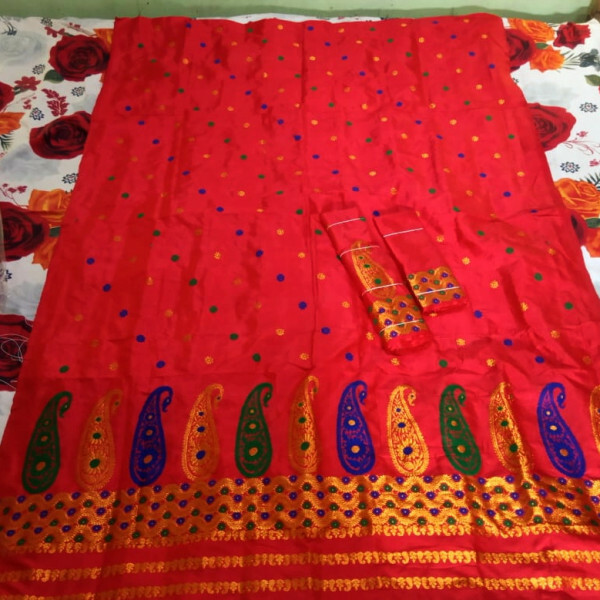 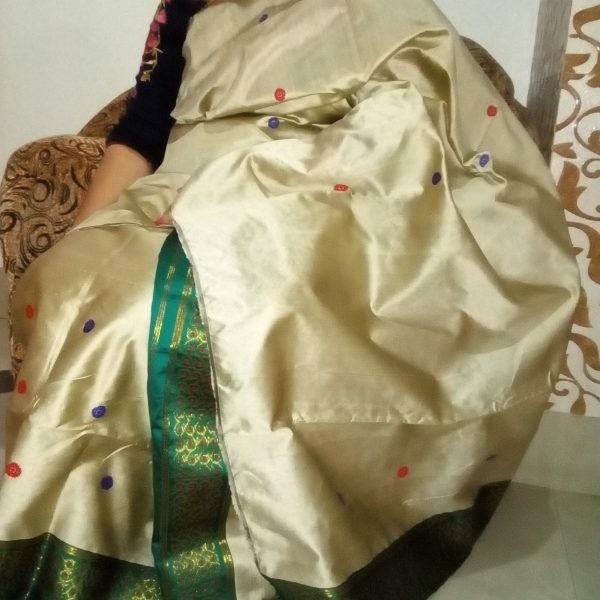 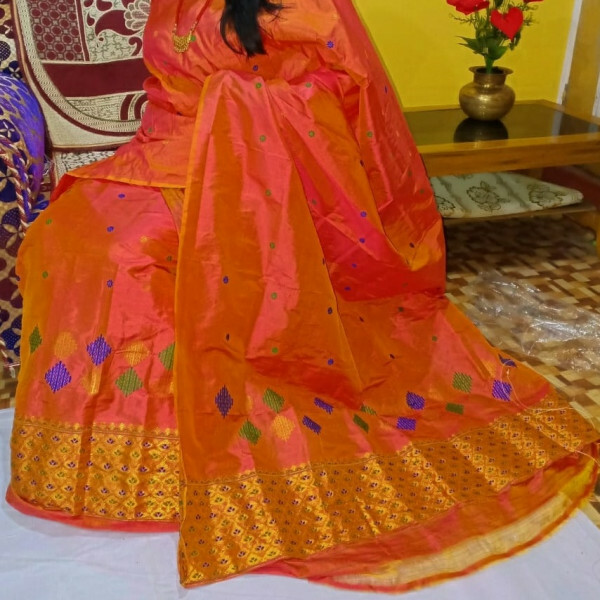 Beautifully designed this Assam Silk material Mekhela Sador set is suitable to wear for many purposes like marriage rituals, birthday parties, other events etc. 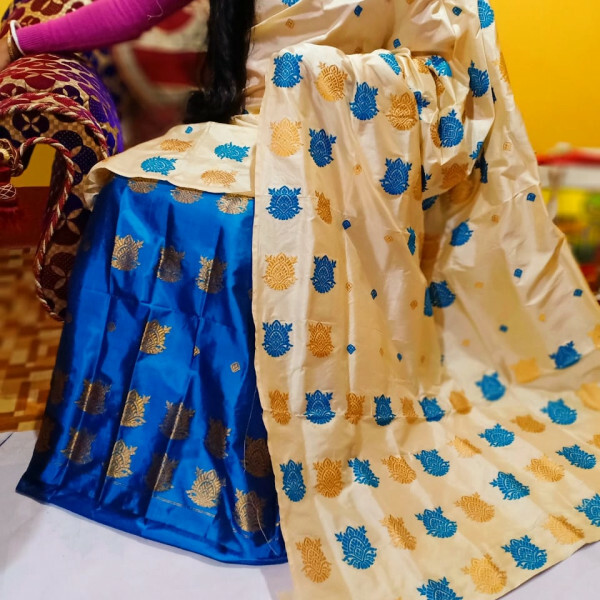 Young girls, ladies from middle ages can wear this mekhela Sador set comfortably. 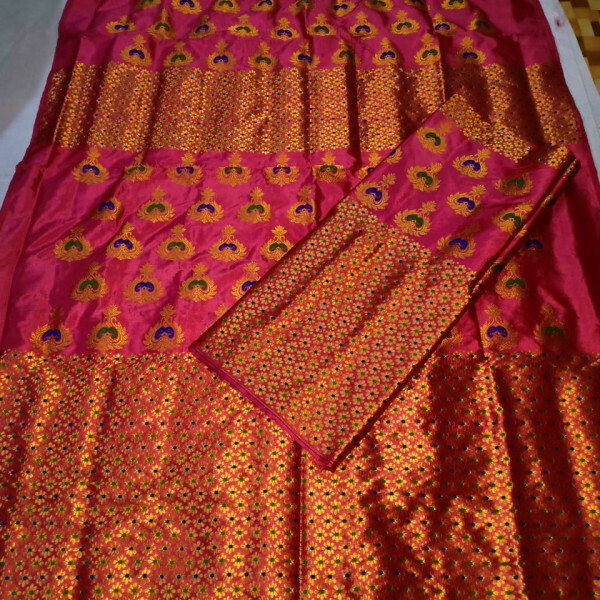 Material Care: Dry clean only.